Washington Marijuana Businesses is dedicated to helping our industry thrive. We know our industry faces many challenges from federal regulators, to access to investment, as well as being able to process credit card transactions. 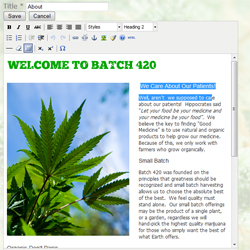 This is why Washington Marijuana Businesses is offering low-cost website rentals. Now you can preserve cash flow, reduce marketing costs, and stay in contact with your patients and customers. Each website has a content management system allowing you to change your content immediately and without having to pay a website designer. 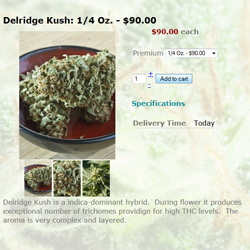 You can choose to add a medicine request/shopping cart to your dispensary or retail marijuana website. 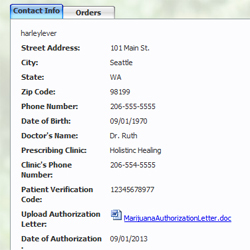 Allow your patients or customers to place orders ahead of time. Keep track of your patient and/or customers information as well as staying connected to them. Whether you are a medical marijuana dispensary or soon-to-be retail store, the patient management system will help you provide better customer service. 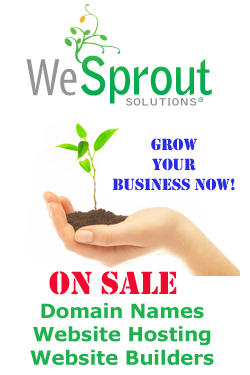 Send customers and patients coupons. 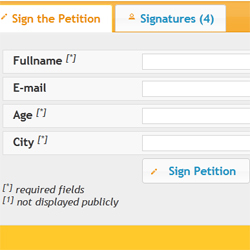 Our petition systems will help you not only bring important issues to light, but it will also help you document your support. In addition, you can keep in touch with supporters with your integrated email marketing system. Have one petition, or 100 petitions.